i) The candidates must not apply for more than one post. ii) Duly filled in Application Form (downloadable) as per the Proforma should be submitted at the time of interview. iii) Copies of certificates (duly attested by a Gazetted Officer) in support of educational qualification (10th Class onwards), date of birth and experience, if any, should be attached with the application. iv) Applicants are also required to bring original certificates/documents for verification at the time of interview. v) SC/ST/OBC certificate, if applicable, as per the prescribed format, should be attached with the application. vi) The number of posts to be filled may vary. The Department reserves the right to cancel the recruitment without assigning any reason. vii) No correspondence will be entertained with candidates who are not selected for appointment. CANVASSING, IN ANY FORM, WILL RESULT IN DISQULIFICATION OF CANDIDATURE. As per GOI Rules. However being a contract position, if such candidates are not available, the same may be treated as unreserved.. No TA/DA will be paid to any candidate for attending the interview. M.Sc in Meteorology/Environmental science or M.Sc (Agriculture) in (Agricultural Meteorology/ Agricultural Physics/Agronomy/Soil Sciences/ Agricultural Statistics), M.Tech in Agricultural Engineering/Environmental Sciences/Remote sensing & GIS/Computer science from a recognized University. 02 years of Research experience. 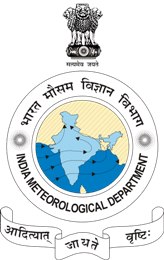 India Meteorological Department recruits Junior Research Fellow, Senior Research Fellow Posts. Candidates with Graduate, Post Graduate, M.Sc, M.Tech, NET qualified experience can apply. India Meteorological Department was established in 1875. It is the National Meteorological Service of the country and the principal government agency in all matters relating to meteorology, seismology and allied subjects.To take meteorological observations and to provide current and forecast meteorological information for optimum operation of weather-sensitive activities like agriculture, irrigation, shipping, aviation, offshore oil explorations, etc. To warn against severe weather phenomena like tropical cyclones, norwesters, duststorms, heavy rains and snow, cold and heat waves, etc., which cause destruction of life and property.